Papercon 2017 celebrated its 10th anniversary with the theme of “Renew, Rethink, Redefine the Future”. The 2017 conference, held at the Minneapolis Convention Center in Minneapolis, MN, USA, focused on the latest trends and technologies relating to papermaking, papermaking additives, process control, fluid fundamentals, and recycled paperboard technologies. The technical sessions were complemented by the technology showcase from 130+ companies including ABB, Valmet, BTG/Capstone, Andritz, Siemens, Buckman, KaMin, Voith etc. 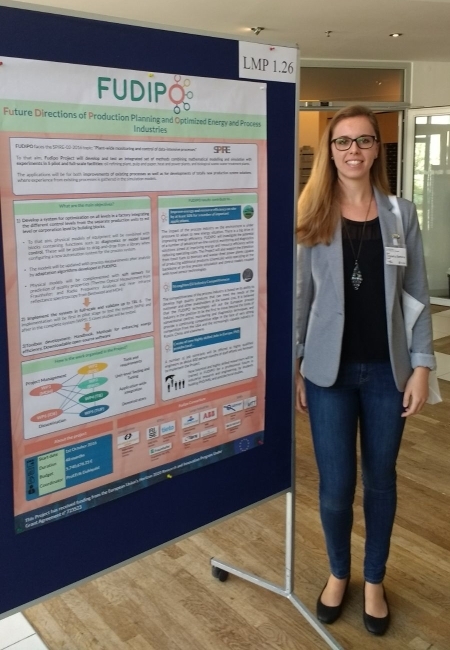 Mälardalen University (MDH), Sweden presented one conference paper related to the Pulp and Paper case study of FUDIPO project during PF11 – Rethinking QCS Controls (CEU) session. Paper title “M.Rahman, A. Avelin, K.Kyprianidis, E.Dahlquist. An Approach For Feedforward Model Predictive Control For Pulp and Paper Applications: Challenges And The Way Forward”. EUROPACT 2017, the 4th European Conference on Process Analytics and Control Technology, has been held in Postdam (Berlim) on 10-12th May. The conference has covered new technologies in process analytics, the implementation of these technologies in various fields and the transformation of data into knowledge. Moreover, EUROPACT 2017 provided meetings and a discussion forum for scientists and users of process analytics from academia and industry. As SPIRE member, FUDIPO consortium was invited to attend the conference and present three posters, next to other SPIRE projects as DISIRE or ProPAT. The event gave FUDIPO a big opportunity to reach potential stakeholders and to strengthen the network between the attendes. During the first day, Blerim Emruli, from RISE SICS, presented the work done in Work Package 2 and Tomas Olsson , also from RISE SICS, gave an interesting introduction to machine learning, followed by a general discussion by all partners. Finally, the general assembly gathered to discuss deliveries. Second day began with a review of Demonstrator status and technology development, management activities and actions done and plans for dissemination activities. After, the 5 study cases were presented and followed by general discussion. 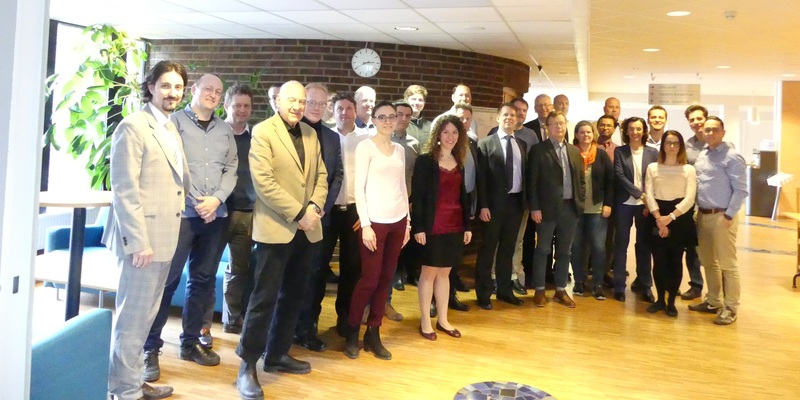 During the last day, the partners had the big opportunity to visit two of the five study cases, located in Sweden. First, partners went to ABB (plant automation systems manufacturer, among others), in Finnslätten, and attended a presentation of “the future control room” by Lena Nyberg. The second visit was to Mälarenergi power plant (see photo below), where after a presentation of the company by Elena Tomas-Aparicio, the partners walked through the waste combustion/biomass fired plants.